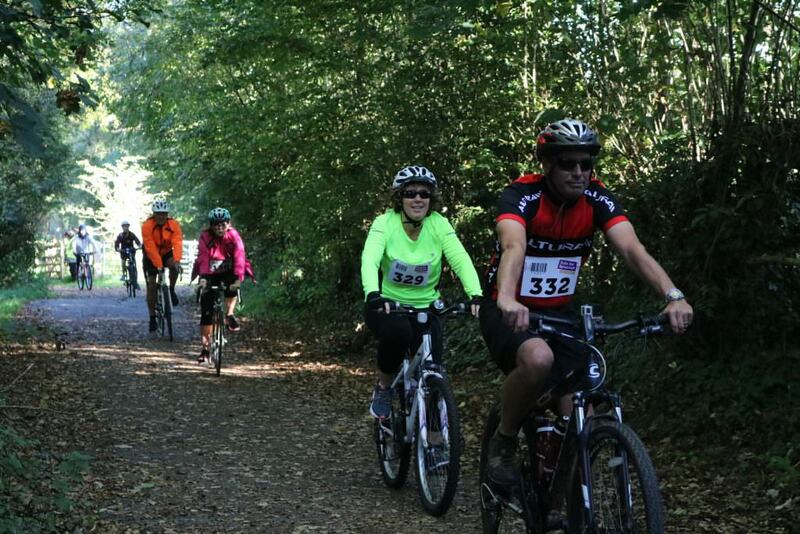 More than 400 cyclists set out on this beautiful October morning to complete Rowcroft’s 24km cycle challenge, Ride for Rowcroft, on Sunday 8 October. Setting off from Newton Abbot Racecourse at 8.30am, the cyclists completed a circular route up to Bovey Tracey and back to the Racecourse via the Stover Trail in order to raise vital funds for local families living with life-limiting illnesses. Organisers hope the hundreds of participants will have raised in excess of £40,000 to help fund Rowcroft’s vital services. Rowcroft’s Events Manager, Daniel Robson, is delighted with the amount raised for local families in need of Rowcroft’s services. He said: “On behalf of everyone at Rowcroft Hospice I would like to say a huge thank you to all those who set their alarms early on a Sunday morning to come and cycle 24km through beautiful South Devon and raise vital funds for local families. Daniel’s special message of thanks also extends to the 84 volunteers who generously donated their time to help with the running of Ride for Rowcroft.